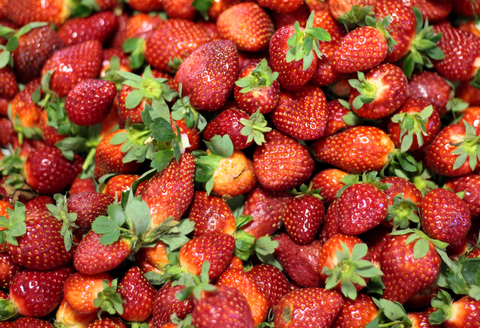 Do you know what your strawberries are sprayed with? If we don't take action they will be sprayed with a know carcinogen and neurotoxin called methyl iodide. You can let California’s Governor-Elect Jerry Brown know that you don’t want your strawberries sprayed with a known carcinogen and neurotoxin. There was public and scientific opposition to approving methyl iodide but lobbying and corporate interests won out over the health of strawberry consumers across the country (90% of all strawberries consumed in the U.S. come from California), farmworkers and residents near fields where strawberries are grown. So much for Terminator-Governator Schwarzenegger going “Green“. This decision can be reversed-Please read the petition to ask California’s new Governor to issue a moratorium on methyl iodide. Scientific and public opinion must start taking priority over corporate profits in all areas and this is one place to start. It is up to us to let our elected officials know that we are paying attention and will hold them accountable if they continue disregarding our health and welfare…we vote for them and put them in office. Buy local when you can and ask your farmers what pesticides they use. 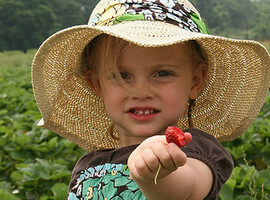 We should not have to eat strawberries that have been sprayed with pesticides that are carcinogenic and neurotoxins.